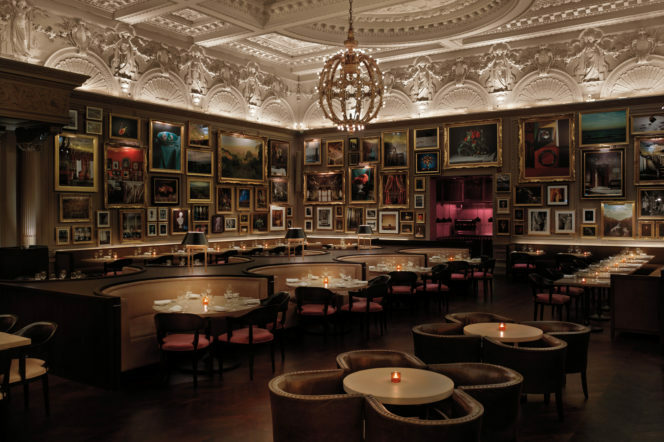 When it comes to striking an intimate mood, few can do it better than Sketch Gallery. 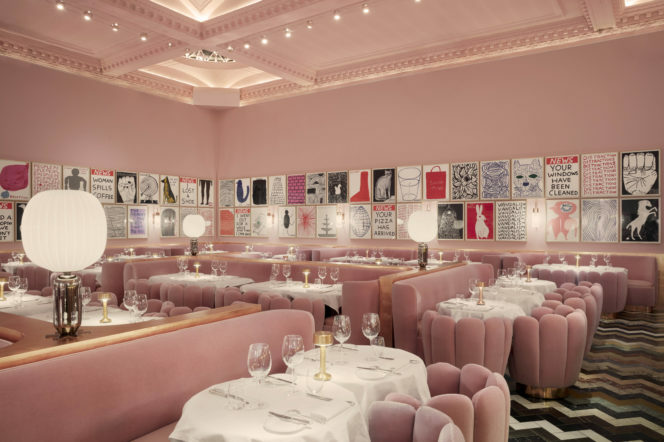 With an omnipresent palette of pink (the colour of love, of course) and a soft ambience, this London institute has been the go-to romance destination for tastemakers and well-heeled scenesters since 2003. The walls, which are decorated with child-like and often satirical drawings by David Shrigley (the Gallery has recently added new works by the British artist), inject a touch of playfulness into the environment, while the gold trimmings and the dome-like ceiling add a subtle, palatial feel. Instagram creds aside, the Gallery sizzles and serves up ‘New French’ fare – an interpretation of the food that’s served at co-founder Pierre Gagnaire’s restaurant in Paris – and includes treats such as black rice and red pepper drowned in a sweet and soul-soothing lobster bisque, pink burrata with Thai grapefruit, and Kent lamb fillet with sweetbreads and moreish polenta cubes. Despite conventional belief that French food is the default cuisine for romance, we argue that tapas should be the rightful owner of that unofficial title. Why? Because with morsels and bijou-sized plates that can be divvied up between two, Spanish gastronomy offers the ideal opportunity to create some intimacy via a shared tasting experience. 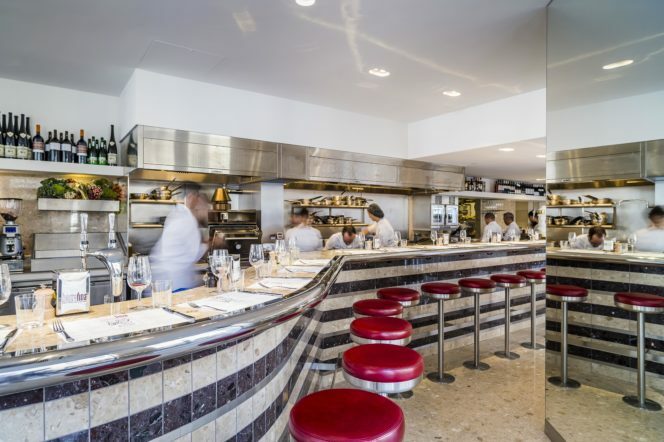 And, if you’re in search of the best in the capital, Barrafina – which gained critical acclaim under the leadership of former executive head chef Nieves Barragán Mohacho – is the place to be. 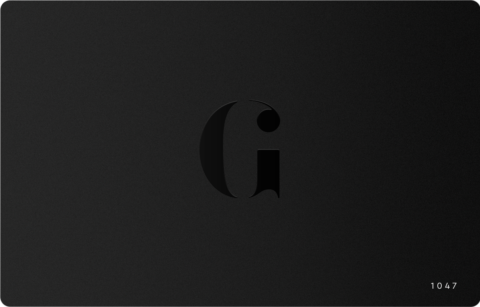 The service is slick, the marble counter top is pristine, and the menu, although overwhelming, is saturated with flawless tapas options. If you want the best of the lot, we suggest opting for the tortilla (comforting and oozing with egg yolk), the Iberian pork ribs (slide-off-the-bone tender) and the artichokes (crispy, flaky and pairs beautifully with the paprika mayo). For those with a sweet tooth, the milhojas (the Spanish version of a mille-feuille) is not be missed. This elegant and understated eatery by legendary Petersham Nurseries chef Skye Gyngell is an oasis of white and pastel hues. Polished pillars are planted near the kitchen, light floods through the gargantuan windows, a vase of fresh foliage sits in the centre of the room and crisply-ironed tablecloths are draped over tables. To add to this seductive setting, the ceiling lights in the evening project a soft haze over diners, creating a dreamlike quality. For the best spot in the house, ask to be sat near the windows where you’ll be given your own private booth and nook; a perfect place for one-on-one dining. 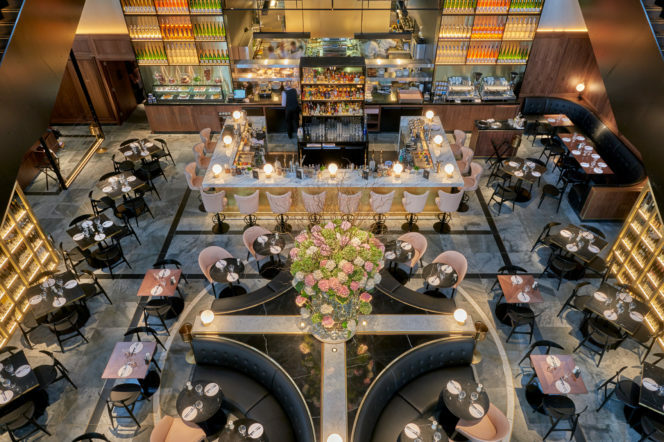 If you’re searching for somewhere that showcases the best of London’s world-class dining scene, then Berners Tavern may be the place to visit. Located in the grand London Edition Hotel in Fitzrovia, Jason Atherton’s upmarket Modern British restaurant has matured into somewhat of a gastronomic institute in past years, and it’s easy to see why – because whether it’s the blazing chandeliers, 18-foot ceiling or the collection of gilt-framed paintings and photographs, every element inside is designed to impress guests who’ve travelled from far and wide. The food – which is renowned for its taken on Modern British fare – is also ideal for hungry gourmands who don’t want the frills and, sometimes, superficiality that comes with high-end molecular gastronomy. 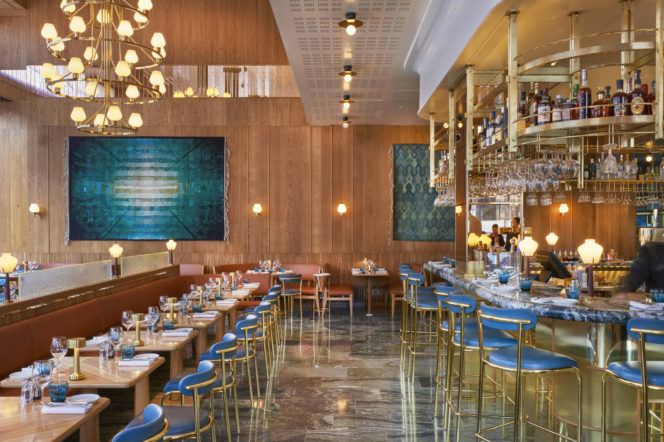 Shining with star quality (the restaurant was recently awarded the highest Michelin accolade within a year of opening), Aquavit is the jewel in London’s St James’ district and is currently one of the key restaurants flying the Nordic flag high within British shores. 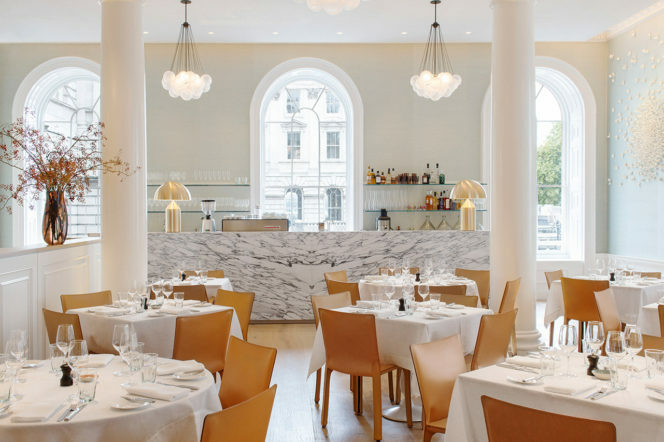 Airy and spacious, the interior at this Scandi haven (from the bar to the seat legs, the table lamps to the washroom taps, few corners here are untouched by gold) really is impressive and worthy of your Instagram feed, and luckily for diners hoping to spend a nice amount of coin, so is the food. On the menu you’ll find goods such as herrings with mustard, vendace roe and chives (which, when eaten together, create a beautiful symphony on the palette), shrimp skagen (light and creamy) and beef rydberg (hearty yet refined), all of which are beautiful presented and boast a clean flavour profile. Although Central European cuisine doesn’t exactly evoke images of romance and delicacy, dining at German Gymnasium is an exception. Located to the side of King’s Cross, this vibrant eatery by the D&D Group (the organisation behind Angler, Sartoria and Launceston Place) is housed within a gargantuan Mitteleuropa-esque, vault-style chamber (it was, as the name suggests, a purpose-built gym) and houses one of the largest restaurant spaces in the capital. There are two dining areas here – the downstairs café or the upstairs restaurant – but for something more intimate, we’d suggest booking at the latter. 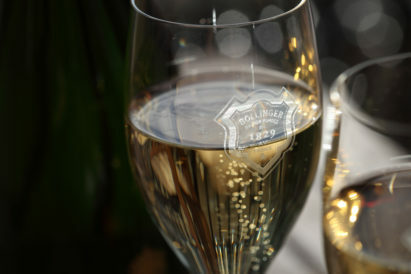 Not only will you be able to witness the buzzy ambience from above (as well as a high-viewing vista of the restaurant’s muted palette, floral accents, flowing leather seating and golden glow), but you’ll also be able to dine in a more spacious and calmer setting – an ideal concoction for duo dining. 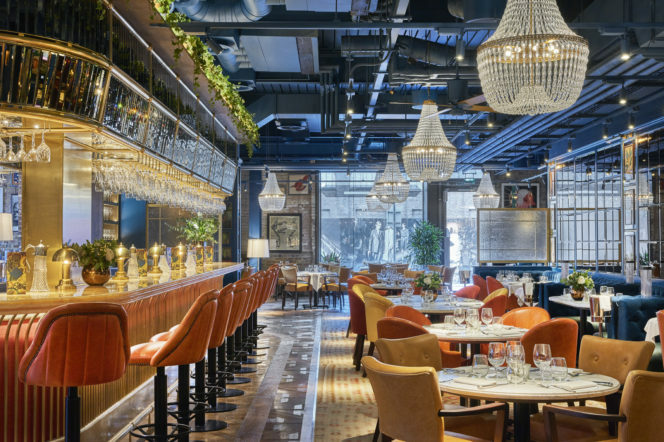 The latest outpost from the Caprice Holdings – the group of Ivy Collection fame – is an elegant all-day dining room inspired by the hedonism of the Art Deco Twenties. With space for approximately 250 guests, the latest gastronomic instalment in King’s Cross takes the exclusive, elite feel of the Ivy eateries and delivers it for mass consumption – but unlike commonplace Italian high-street restaurants that cater for quantity rather than quality, Granary Square is able to succeed in both areas, partly due to its decadent décor (think frosted glass panels and giant chandeliers) and partly due to its fuss-free, consistently impressive menu (in typical Caprice style, expect classic dishes such as fillet steak and beef tartare). Every evening, the resident DJ transforms the venue into a vibrant drinks spot, so it’s a perfect setting for having a casual Drunken Mule (or three) under the golden glow of the central bar counter.